I spent a lot of time looking up what to do in Merida before our trip there last week. I contacted people who live there or have lived there in the past. I read restaurant reviews, tried to find all the cool spots to visit during the day and all the best cantinas for the evenings. Merida is a really interesting city. It’s wildly different from Mexico City. People are mellow, the drivers are calm, the food is unique to the region, the buildings are crazy colorful, and it’s only a short 30-minute drive to the beach. I see why so many people arrive in Merida and never leave. to find the cheapest deal from Cancun and we paid about $20 a day for a compact car which included insurance. You can use uber in Merida. It’s still growing as a company around Mexico, so it’s not available in every city. If you are just coming to the city and don’t have plans to rent a car, uber is a really cheap way to get around the downtown area. If you don’t already have uber, get a discount on your first few rides with the code laurab18897ue. In the city center itself, there isn’t a TON to do. It’s the sort of place you go for a good walk, some shopping, amazing food, and a few mezcal nightcaps. That being said, we still managed to fill our days with plenty of activities. There are tons of really interesting history museums around the city where I could have literally wandered all day long. If you are as much of a Mayan geek as I am, then you need to get yourself over to Gran Museo del Mundo Maya. It’s a really fascinating look at the culture that called this region its home. 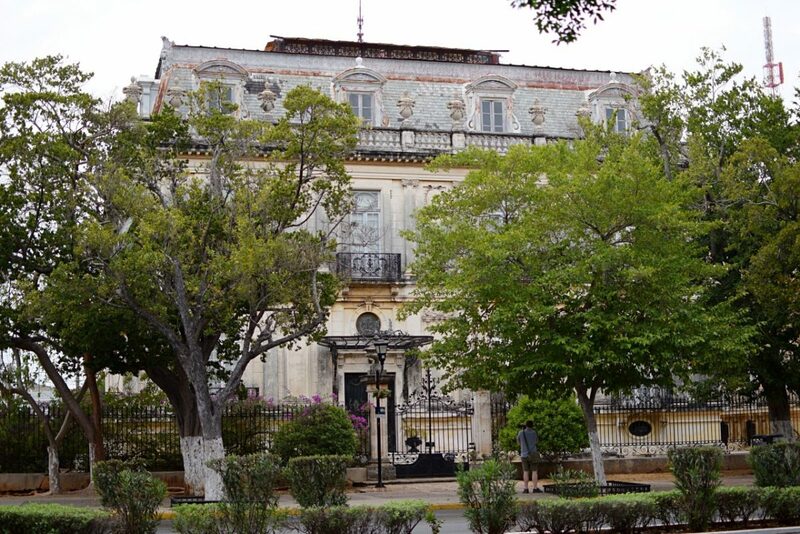 Also worth a wander are Casa de Montejo in the main square of the city and Museo Regional de Antropologia. Both are housed in seriously beautiful buildings that I may or may not have taken an absurd amount of photos of. It’s a bit of a stretch, but Paseo de Montejo really is a nice road to walk down. 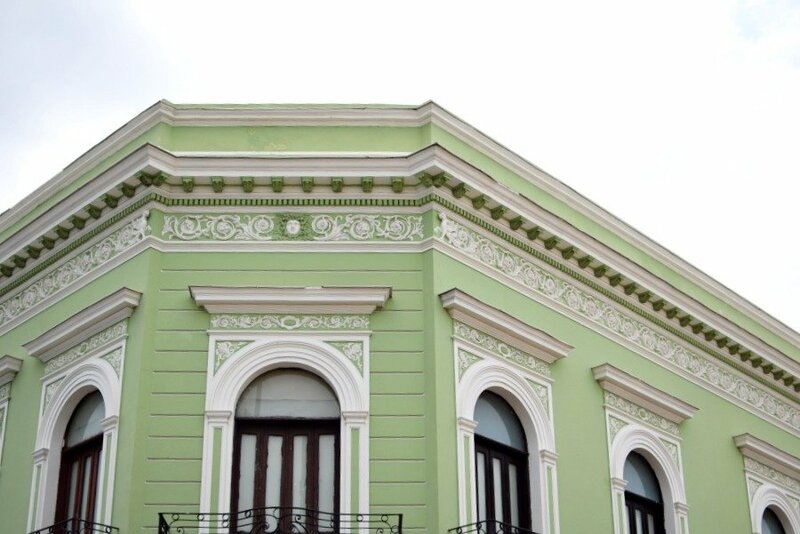 There are some seriously beautiful colonial-style buildings to see as well as a few restaurants and cafes. It’s tree lined all the way down and at the end is a huge monument to Mexico. Cross over the busy round-about and have a look at the detailed carvings. The main square in Merida is lively day and night. When we went on a busy holiday weekend there was live music and plenty of dancing to be had. The main cathedral, Catedral de San Ildefonso, is really different to other cathedrals I’ve visited in Mexico. I liked just wandering the narrow cobbled streets of the city center. The buildings are so colorful, there’s great shopping, tons of little funky cafes and bars, and so many restaurants to sample. We spent an entire day just wandering around the city and stopping whenever we saw something that looked interesting. There are something like 6,000 cenotes in the Yucatan. While many are difficult to get to without a car, some are included in different tours or have regular buses there throughout the day. We went to Cenote San Ignacio which was a really short drive from the center of Merida. It was slightly touristy – you pay an entrance and inside is the cenote, a pool, a restaurant and hammocks to hang out on. Despite being totally commercialized, I kind of loved it. The cenote is in a cave so you walk down these steep steps into a cavern where you can drop your flip flops and head straight into the cool water. It was nice to be shaded from the sun. Our entry fee included lunch (soup, a main, and ice cream) and we just laid by the pool and dangled in the hammocks all afternoon. It was bliss. Cuzama – this was our second choice for things to do in Cuzama. If you arrive by mid-morning you can organize a tour of several cenotes in this area. The reason we opted out was because the tours are done by horse and buggy and I’m not super into the way most work-horses are treated here in Mexico. You can, however, visit the many cenotes in this area on your own. Ik-Kil – This is a really popular cenote to visit on a trip to Chichen Itza. We missed out on it because when we left Chichen Itza, we were STARVING, but it looks like a beautiful spot and if you’re tight on time, seeing it alongside a trip to Chichen Itza is very easy (if you take a tour of Chichen Itza, you will most definitely go to Ik-Kil on your tour). One of my favorite things about Merida is its proximity to the beach. 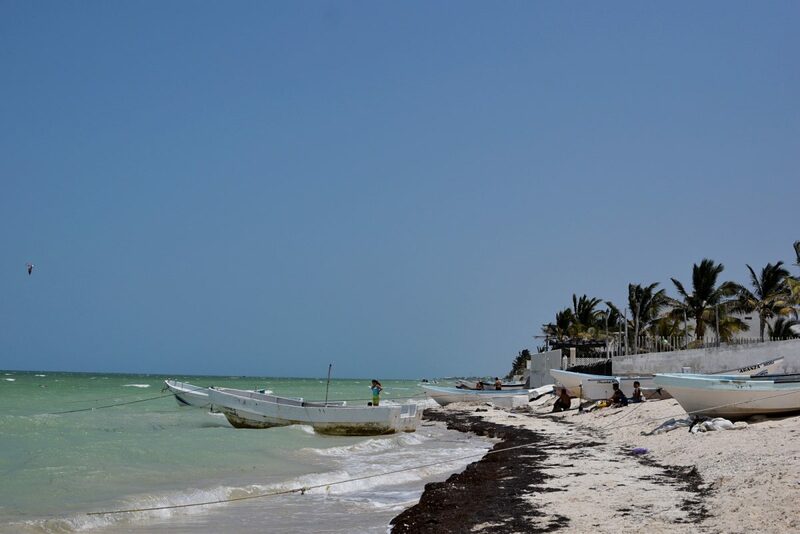 Head straight north out of the city and in less than half an hour, you’ll be at Progreso Beach. This is the biggest and busiest of the beaches along this coast, but it’s also where you’ll get some of the best dining options. You can sit on the beach, feet in the sand, and eat a whole grilled fish, ceviche, octopus, and a few beers. It’s slightly more expensive than the center of the city, but still not crazy. We paid about 500 pesos ($25) for a huge plate of ceviche, a whole grilled fish with corn tortillas, rice, and different sauces, plus two beers. If you want to enjoy some solitude, head 15 minutes west or east of Progreso. To the west, you have Chelem, a nice quiet beach with good sand and almost nothing else around. To the east, you have Chicxulub Puerto (not to be confused with Chicxulub Puebla). This town is actually in a crater that formed after being struck by a meteor. Silly us, we showed up thinking we’d be able to see a crater. Nope. However, there are tons of cheap places to enjoy seafood and the fishing port, although not the nicest sand, is a great place to sit with a few beers and to swim in calm waters. 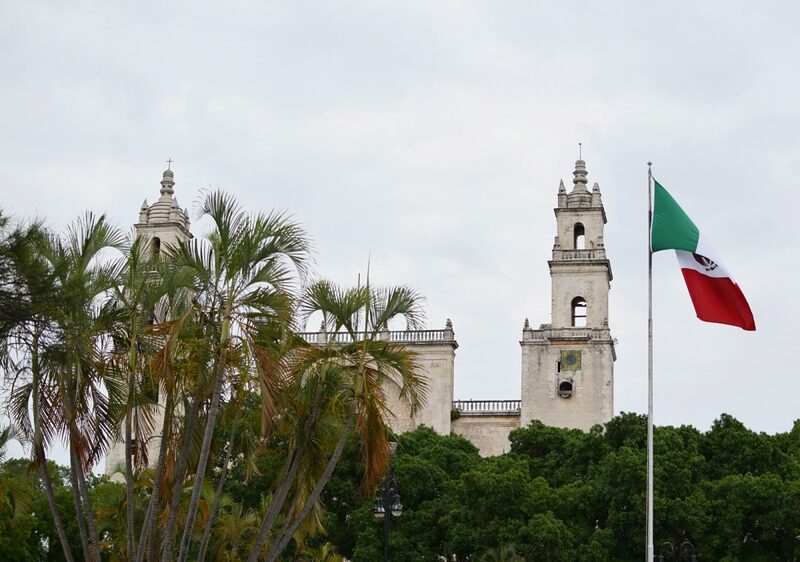 For other ideas on things to do in Merida, check out these Merida day trips. Oh my, the food in Merida, and indeed all over the Yucatan, is so utterly delicious. We ate plenty of street food around the city and enjoyed lunch in a few cocina economicas (cheap restaurants with home cooked meals), but we made sure to do some dining around the city as well. We ate at this Merida institution on our last night. They specialize in classic Yucatan dishes, so we ate as many of them as we could. We had Pan de Cazon, stacked corn tortillas with beans, tomato sauce and cazon (a type of shark); Pipian de Pavo, a really lovely slow cooked turkey dish; and Lomitos de Valladolid, a crazy good pork dish. Most dishes are between $8 and $15 dollars. We stumbled upon this place on our first night in Merida. It was really near where we were staying and it’s a cool outdoor place to eat some different street food. Tucked into a little parking lot are tons of tables and about 10 different food trucks. We had amazing baguette sandwiches, but they also had a barbecue truck, pasta and pizzas, tacos, burgers, and dessert trucks. It’s really reasonably priced, and the only bummer is that they don’t have a license to sell any alcohol and you can’t bring your own. They are, however, open until midnight on weekends. Cantinas are magical places. Order beers and as long as your drinking, they’ll bring food to your table for free. While these places exist in most of Mexico, they are kind of different in Merida. They’re actually hip. When we got to La Negrita around 4:30pm, it was absolutely PACKED. We waited about 35 minutes to get a table, but once we did, we were in for the night. Happy hour is from 5-7pm and there are tons of different drink offers. We opted for the 19 peso beers (just under $1). They brought us tons of different snacks all night and we gobbled them up. They also have a food menu if you want to stay and order full meals. One of the best parts was the live band that played. It was a Saturday night when we went, and it got everyone up and dancing and made for a great ambiance. Another cantina, this is a chain with locations all over the city. Every day of the week there is a different food and drink offer. Similar to La Negrita, Eladios brings you food while you sup your drinks, but the snacks there bring are much more substantial. We got all different kinds of tacos and enchilada-style dishes that are from the Yucatan area. If you’re looking to try a few different Yucatan specialties without having to order whole entire meals, this is a really great place to go. They also have a huge food menu with different Yucatan and classic Mexican dishes. Whether you love it or loathe it (I’m in the latter party), mezcal is a hugely popular drink in Mexico. This particular bar serves up organic mezcals from around the country and I must admit, I didn’t totally hate the ones I tried (plus they start to taste GREAT after a few!). I love the ceremony of it with the orange slices and the cinnamon. They have a few other drink options too if mezcal really isn’t your thing. The bar itself is worth a trip either way. It’s funky, retro style was exactly the sort of place I could (and did) accidentally while away several hours with good company. This place reminded me SO MUCH of Mercado Roma, they even had the same tables. It’s an indoor food market with tons of food vendors. It’s a bit touristy, but if you need a break from Mexican food or you want to try some fusion dishes, I highly recommend a meal here. They’re open pretty late and they have a fully stocked bar inside. You guys know I love a good AirBnB, so that’s exactly where I started my search for a place to stay in Merida. There are so many options on there for amazing prices. We got a whole two-bedroom house with parking, a washing machine, a fully stocked kitchen, decent wifi, and a nice backyard for only $16 a night. You can find that listing here. (If you haven’t already tried AirBnB, signup here to get $35 off your first booking). Before deciding on that place though, we looked at a few other AirBnB places as well as a few boutique hotels. In the end, we were swayed by price, but these are some great options if you’re not constrained by budget or you want to be more centrally located. Casa Lecanda is a beautiful boutique hotel in the center of the city. I’ll definitely be staying here on my next visit to Merida. Hotel Hacienda is another boutique hotel with a huge pool and a really nice, peaceful courtyard to relax in. Getting to Merida is really easy. We flew from Mexico City into Cancun airport and picked up our rental car from there. It’s a straight road from Cancun to Merida. Definitely make sure that if you are coming from Cancun via rental car, you have plenty of cash on you. There are two tolls on the road to Merida which total just under 450 pesos ($23). If you aren’t renting a car, you can take a bus from Cancun airport to Merida with ADO. It’s about 300 pesos each way ($15). The other option is to fly straight into Merida airport. You can take an authorized taxi from the Airport for about 200-250 pesos ($10-$12 USD). Buy the ticket from one of the booths at the airport exit. Or do as the locals do and walk out past the main parking lot in front of the building, and hail a passing taxi on Calle 23 for half that price. There are also ADO buses that take you from the airport into the center or a public bus on the above mentioned Calle 23. The public bus is #79. *Planning a tour of Mexico? 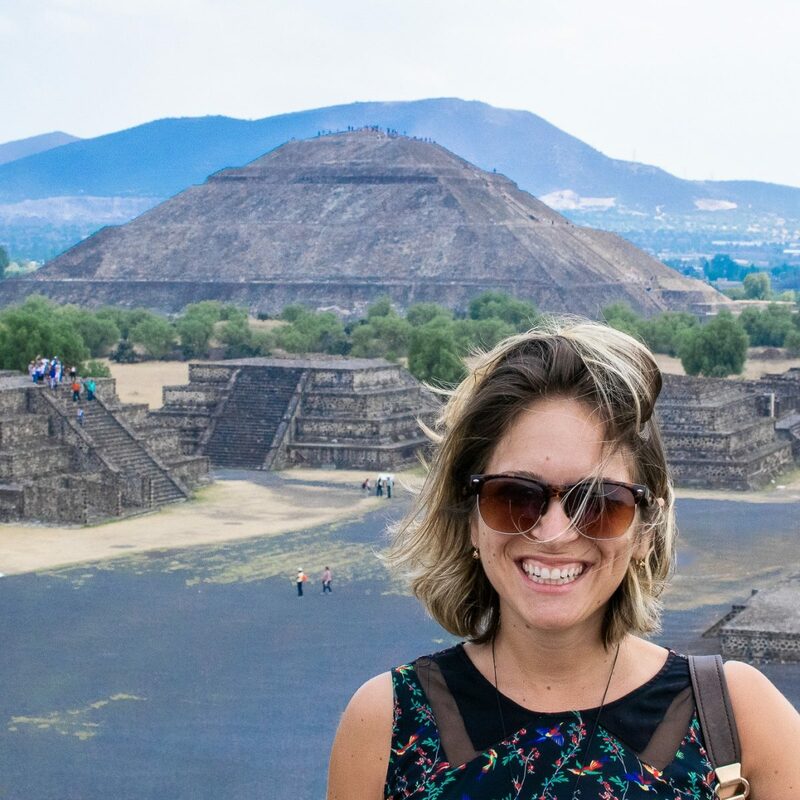 Check out the Mexico section to read more itineraries and exciting places to visit (or check out my Mexico bucket list so you don’t miss any of the best sites!). 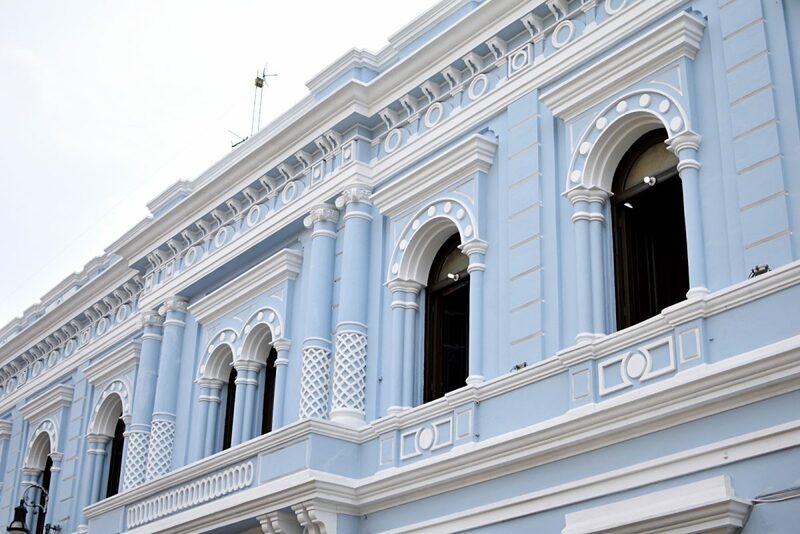 Have you ever been to Merida? What did you love, where did you eat? I’ll definitely be back to this cool city! This post contains some affiliate links to companies and products that I use and love. Great write up Laura! My partner and I are studying Spanish at a school in Merida and will put your list to good use.